These are the 10 best essential oils for cleaning your home. 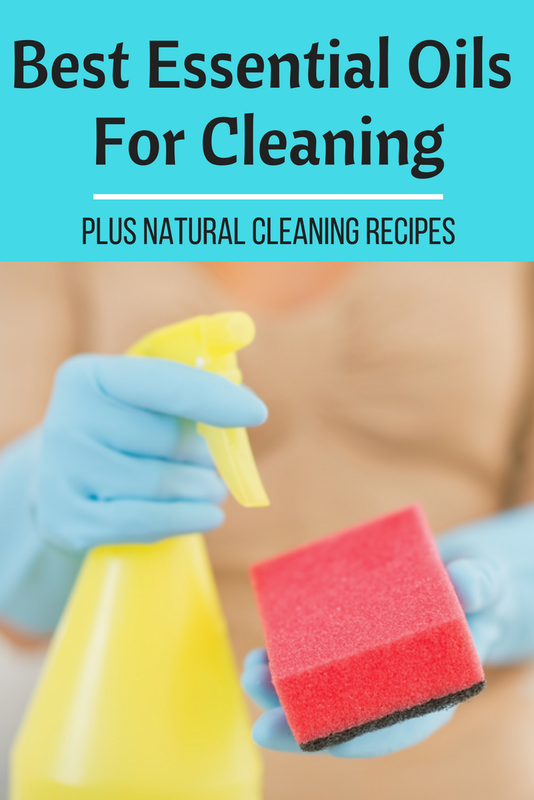 Plus, there are bonus natural cleaning recipes you can make to clean just about anything in your home! I don't spring clean. Between work, homeschooling, theater, scouts, and everything else, I just don't have the time. I used to spend the week of spring break cleaning, but we really need that time to relax and destress. Now I spend the first two weeks of June decluttering and cleaning because school and scouts are over for summer. I'm not stressed, and it gets the house scrubbed before our annual Fourth of July party. When I spring clean, I clean the house from top to bottom. Every cabinet and every closet gets decluttered. I clean every surface. Every nook and cranny. I've been using natural cleaners for over 10 years. My younger son has asthma, so I can't use chemical cleaners around him. After I stopped using chemicals, I noticed that they really bother me when I'm around them. I didn't notice just how much they were affecting me until I wasn't around them for a while. I use baking soda and vinegar to clean a lot. Baking soda is a mild abrasive and natural degreaser, and vinegar is a mild acid that works well on our hard water spots. When used together, I can clean almost anything. 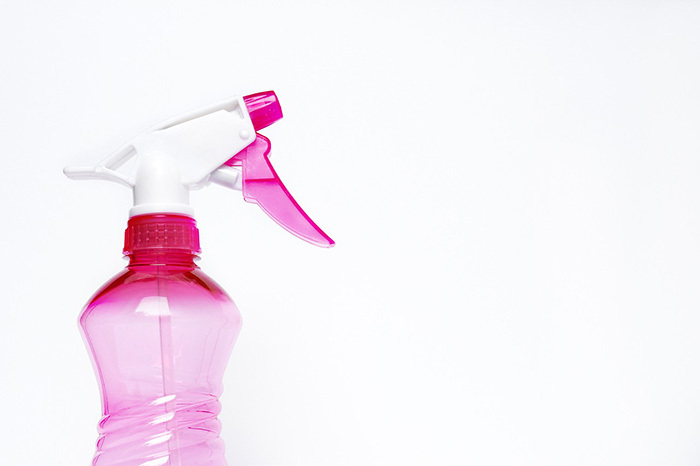 Sometimes I like to give my cleaning products a boost with the best essential oils for cleaning. Here are my top 10 oils and some recipes that you can make to naturally clean your home. Links in this post may be affiliate links, which means that I earn a small commission from sales. Tea tree oil was the first essential oil that I used for cleaning. It's a proven antiseptic, so it can kill germs that linger on surfaces. It can kill bacteria and some viruses, so it's a great essential oil to add to an all purpose cleaner for anywhere in the home. 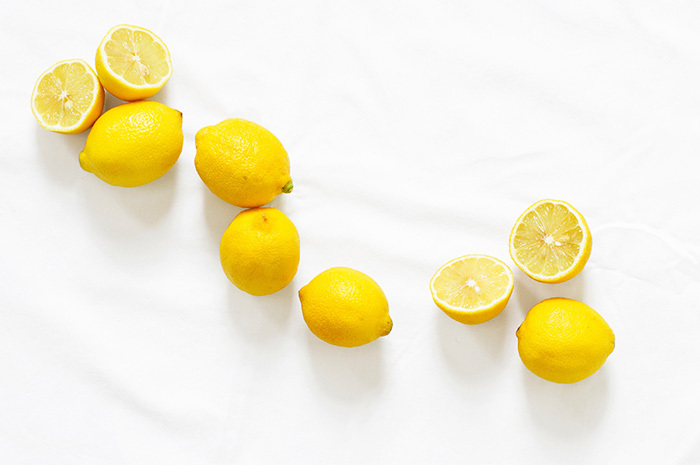 I like to use lemon essential oil to clean because of the fragrance. That fresh citrus scent just screams clean to me. It's naturally antibacterial and antiviral. It's also a natural degreaser, so I like to add it to my vinegar based cleaners for an extra boost of power. Wild Orange essential oil is also a citrus oil, so it works similar to lemon. It's a natural detreaser, and it can help remove glue or adhesive from surfaces. It also has a wonderful scent that just smells clean to me. Rosemary essential oil is a mental stimulant when used as aromatherapy, so it helps boosts your mind while it cleans. It's also naturally antiseptic and kills bacteria. I like to pair it with peppermint to help me stay on track while I clean. 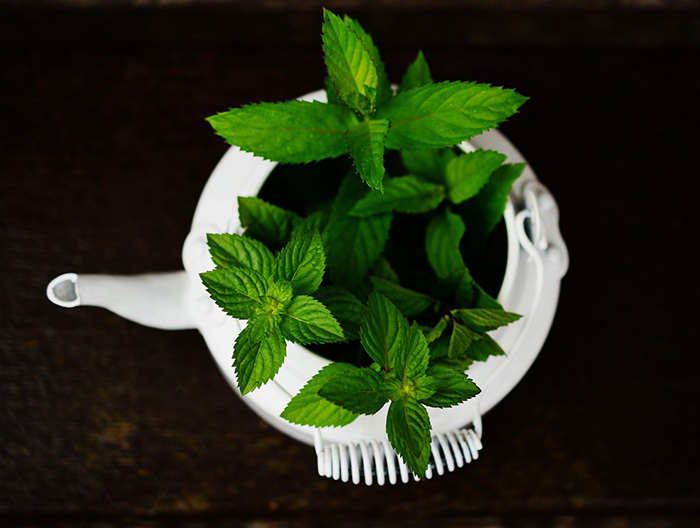 Peppermint essential oil naturally kills bacteria. It's also a great natural way to repel ants and other bugs, so I like to use it in the kitchen if I see a bug in there. The crisp scent can help you boost your mood, so it can help you clean longer. Thyme essential oil is one of the strongest germ killers of the essential oils. It can even kill E. coli! If you are using it for its germ fighting powers, it's best to use only thyme essential oil and not mix it with other oils because it's a stronger germ fighter. Cinnamon leaf essential oil is an antiseptic and kills bacteria. It's the best essential oil to use on mold and mildew. 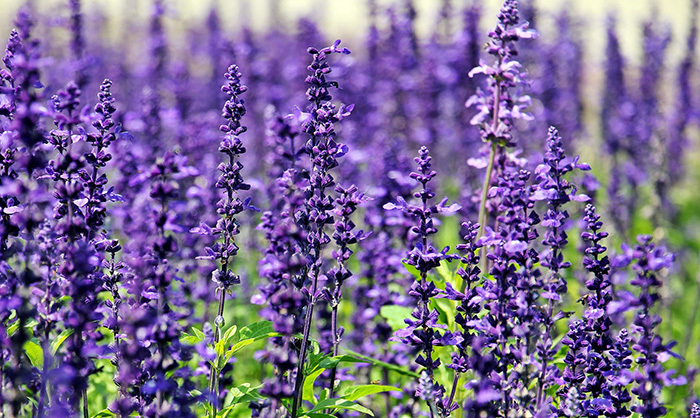 Lavender essential oil , again, is naturally antibacterial. It's soothing when used as aromatherapy, so it's a good essential oil to use for your nightly cleaning. I don't usually use it when I'm on a major cleaning spree, but it can help you relax while you clean. Pine essential oil is a common cleaner. It naturally kills yeast, and it can also kill E. coli and other germs. I like to add a few drops to my mopping water when I clean my hardwood floors. Eucalyptus essential oil can kill bugs, including dust mites. Mix it with baking soda and sprinkle on your carpets and mattresses. Let sit for a few hours then vacuum. You can also use it to spot clean stuffed animals. Add a few drops to your washer to freshen and clean laundry. These are my 10 best essential oils for cleaning. I don't use all of them all the time. For example, I keep a spray bottle with either tea tree oil or lemon for general cleaning. I use pine in the mop bucket. Generally, you can swap out the oils as you want. The only one I would not swap is thyme in the bathroom or kitchen because it kills more germs than the other oils. I use this to spot clean, clean counters, clean the fridge, and just about anything that needs cleaned. Combine all ingredients in a spray bottle . Shake well. This is a daily shower cleaner. Spray your shower after using, do not rinse. This stops soap scum form forming. I use this on windows and mirrors. It helps remove hard water spots and toothpaste from mirrors and dirt on windows. If you don't have a 1/8 cup measuring cup (I do not), fill your 1/4 cup about half way with rubbing alcohol and fill with vinegar. Your proportions can be a little off and it will still work great. Tip: I use old newspapers to clean my windows and mirrors. I use this as a spot cleaner on tough spots. It's a great degreaser, so it's good for the sink, stove, spots on walls, or the fridge handle. Just be careful on walls if you have flat paint. Combine all ingredients to make a paste. Use a rag to scrub surfaces. Rinse well with water. Sprinkle on your carpets, let sit. The longer it sits, the better it works. I like to let it sit overnight if possible. These essential oils will also work to clean the air. I normally use them in my diffuser when I'm trying to freshen the air. We use the Crafty Bubbles Breathe Easy blend a lot in the winter. I noticed it really helped freshen the air, so now I use that as a natural air freshener. 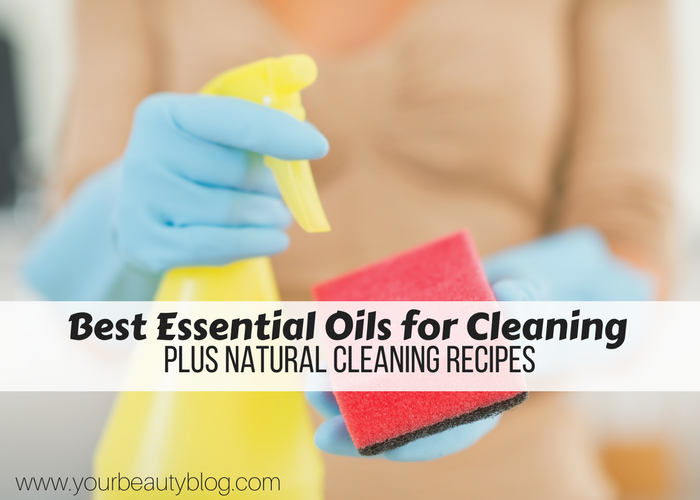 With these 10 best essential oils for cleaning, you can clean your entire house naturally!